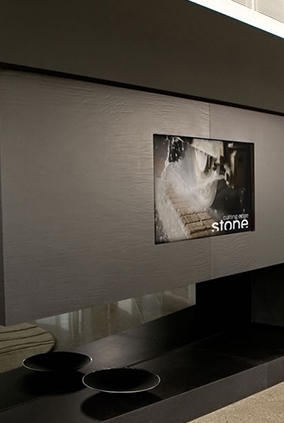 Give your kitchen a character of its own and one that connects it to nature thanks to the experts at Cutting Edge Stone! Drawing on over 40 years of detailed and extensive industry experience and training our professional and passionate team can completely change the layout and the floorplan of the kitchen environment for an affordable price. Beautiful and renowned for its hardiness, granite stone is smooth and requires minimal attention or upkeep. Able to be cut in a number of dimensions based on the size of our customer’s kitchens our granite benchtops allow Melbourne residents to breathe new life into their kitchen space. 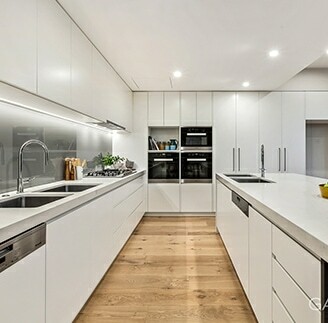 At Cutting Edge Stone, we know that there are other “granite kitchen benchtop suppliers near me” who can improve your kitchen, only our team can supply a complete service for a competitive price. Made from premium materials and made to last our granite benchtops will give you the kitchen you’ve been searching for. At Cutting Edge Stone our professional team of stone supply and installation experts know the difference that our products can make to the condition and the quality of the kitchen. Made from natural granite, our granite benchtops are not porous and can maintain its colour and composition in high and low temperatures. Able to withstand chipping and scratches, granite benchtops greatly improve the condition and the function of the kitchen, and can provide decades of use without showing signs of age or wear. To learn more about the many benefits of our kitchen granite benchtops Melbourne residents can call us today on 03 9338 8440.